Here are 3 videos of well-known celebrities Russell Brand, Cameron Diaz, and Katy Perry praising the Transcendental Meditation technique. Veterans Paul Downs and Dusty Baxley join Katy Perry and Bob Roth to discuss how TM saved their lives from the destructive effects of PTSD. Also included is a 4th video—Paul’s powerful testimonial before the U.S. House of Representatives for the Committee on Veterans’ Affairs on the benefits of Transcendental Meditation healing his post-traumatic stress. Brand has been practicing Transcendental Meditation for nearly 10 years. He says the technique has been instrumental in fostering creativity, appreciating fatherhood, and maintaining his recovery from addiction. Roth, a 45-year TM teacher, taught Russell to meditate and the two remain close friends. Bob and Russell discussed the benefits of practicing Transcendental Meditation, how TM has personally helped Russell, and what the David Lynch Foundation is doing to bring meditation to people suffering from stress and trauma. Russell is funny and eloquent throughout, and concludes with a powerful explanation of how change comes about in society, through the power of ideas, and not from the top down, but from the grassroots up. Listen, learn, and enjoy! Below is a video with Cameron Diaz on OWN’s Oprah Online. Published last July, Diaz shares what TM means to her and how it brings wholeness to her life, especially after a long hot day on a film set. I haven’t seen Oprah’s interview with her, but the text mentions that day. Cameron had told DLF CEO Bob Roth about it over two years earlier during an interview at an event sponsored by Urban Zen. Funds were being raised to support the Foundation’s efforts to bring relief to veterans and their families suffering from the effects of PTSD with scholarships for TM courses. I enjoyed her description of what she loves about TM in that interview. And the metaphor she intelligently uses to describe the power of TM in this video from the OWN show, Cameron Diaz: This is Why Meditation is So Powerful, is creative and brilliant! This month TMhome.com put up a great post on Cameron Diaz and TM. A week later TMhome posted Katy Perry speaks with veterans about the healing effects of TM on her Witness World Wide video marathon. Katy also spoke earlier with Bob Roth about TM, which starts at 6:45. Roth arrives with MTV and E! News host Zuri Hall who wanted to ask Katy and Bob about TM. Katy tells Zuri that she learned TM from Bobby during her wedding to Russell Brand, which took place in India. The marriage didn’t last, but she continued to meditate. Katy told her she gets her best ideas after meditation. Katy tries to live her life from love, not fear. TM has done this for her. This idea is more profoundly explained by veterans Paul Downs and Dusty Baxley who later join Katy and Bob after Zuri leaves. Dusty is the executive director of the Boulder Crest Retreat and a TM teacher. He taught Paul to meditate. They actually all meditate together for 20 minutes, which you can see in this clip taken from the 72-hour live-streaming launch for Katy’s new album. Marine Veteran Paul Downs also testified before the U.S. House of Representatives for the Committee on Veterans’ Affairs on the benefits of Transcendental Meditation healing his post-traumatic stress. This video is borrowed from the David Lynch Foundation Facebook page. For more information on Transcendental Meditation and the David Lynch Foundation, visit www.tm.org and www.davidlynchfoundation.org. Five years ago the Transcendental Meditation technique was introduced at Norwich University in Vermont, the oldest private military college in the U.S. They began with 30 cadets and now there are 300 at any given time practicing TM on campus. Dave Zobeck, the TM teacher who began the program, which was funded by the David Lynch Foundation, has a permanent, full-time position teaching TM to cadets, faculty, and administrators at Norwich. Below is a David Lynch Foundation update with a new video report from DLFTV. Founded in 1819 near Montpelier, Vermont, Norwich University has educated young adults to become leaders in the community, in business and in the military. It has the distinction of being the birthplace of the Reserve Officers’ Training Corps (ROTC). 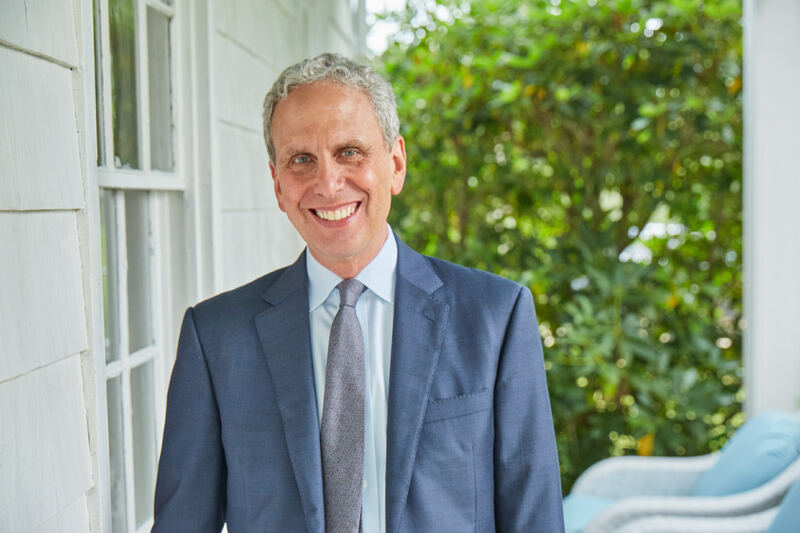 Transcendental Meditation (TM) was first introduced to Norwich in 2010 when the longtime donor and supporter Joan Andrews Prentice brought information about TM to Norwich University President Dr. Richard Schneider. In collaboration with Norwich’s board of trustees, the university directors decided on a trial research project for TM. The idea of participating in the trial was presented to all incoming students and their parents in 2010. Thirty new students learned TM and thirty were in a non-meditating control group. For the TM group after learning, ”the reaction was dramatic,” says Dr. Schneider. A typical comment from a student on learning TM: ”After the first week of practicing it, you felt a difference, you felt calmer and much more aware of your surroundings, and you could focus.” Another said, ”TM is the greatest tool that I’ve had for stress-management and for keeping clarity in my life.” Since then the program has grown. Today Dr. Schneider says there are currently 300 TM participants at the University. Good Morning America anchor George Stphanopoulos interviews Jerry Seinfeld and Bob Roth on the importance of Transcendental Meditation for PTSD. Read more reports about TM at Norwich University on their website. A similar situation has occurred in medical education. See The first Transcendental Meditation elective course offered at a major US medical school. Newly posted Oct 31, 2017: Central Saanich Police Service and Area Police Officers Benefit from #TranscendentalMeditation. Between 2007-2009 the iconic American director David Lynch made a series of trips to 16 countries in Europe and the Middle East to talk about Transcendental Meditation, Creativity, and Peace. Wherever he went David was met by hundreds of fans and honored by several film societies. He spoke with heads of state, educators, the press, and local meditators inspiring them to form peace-creating groups. Interwoven throughout the documentary is an excellent interview with a French journalist at an historic art studio in Paris where David goes to create his lithographs. Besides being a talented creative artist in various visual media, David is also an excellent teacher. The way in which he illustrates and explains how TM works and what it can do for us as human beings is absolutely brilliant! The film premiered in various cities and countries to raise funds for the David Lynch Foundation to help teach Transcendental Meditation to at-risk students everywhere. Meditating celebrities joined David at the LA premiere. See some of the coverage and interviews below. The film is now posted on the DavidLynchFoundation channel for all to see. Here are a few related posts on this subject: David Lynch addresses Israelis on Skype call after they see his film Meditation Creativity Peace | David Lynch speaks with Alan Colmes about his 16-country tour film Meditation Creativity Peace | Russell Brand and David Lynch at LA Premiere of ‘Meditation, Creativity, Peace’ Documentary | David Lynch, Russell Brand, Bob Roth Q&A after screening Meditation, Creativity, Peace documentary at Hammer Museum | Watch the trailer for a new documentary film on David Lynch titled “Meditation Creativity Peace”. This earlier article is also very interesting: Celeb Spiritual Report: One significant day in my life by David Lynch for Jane Magazine (May 2004). See a rare look at David Lynch in this documentary made by Richard Beymer: “It’s a Beautiful World.” New film shows David Lynch retracing Maharishi’s footsteps from North to South India and the start of the TM movement. Read inspiring excerpts from an earlier post on David Lynch’s book, Catching the Big Fish: Meditation, Consciousness, and Creativity. Considering how many 20-somethings learned to meditate in the 1970s, one might have predicted an explosion of meditating schools in the 1980s. Instead, Americans mostly forgot about the trend as they settled into the Reagan era. My parents were exceptions: They enrolled me in a small private school where the day began and ended with TM. It was an idyllic childhood in many ways, but my classmates and I always knew we lived in a bubble. One summer, at a resort in the Catskills, I listened as my aunt tried to explain my upbringing to a couple of her friends. So I was fascinated when meditation recently started becoming mainstream again. Coworkers told me about mindfulness apps they were trying and friends mentioned yoga retreats they were planning to attend. The general idea seemed to be that meditation was not so much a technique for spiritual enlightenment as a common-sense lifestyle habit, like getting enough exercise or eating green vegetables. …. Jennie visited several schools in poor, stressed inner-city locations where children from different ethnic backgrounds and broken homes came to school already traumatized. She wondered how administrators, teachers and students would react to such a program, and how it could be implemented. It’s hard to change the circumstances that create this kind of stress, though plenty of people are trying. But if you teach kids to meditate in the meantime, the thinking goes, you can help them reduce the stress itself. That reasoning always made sense to me, as someone who has been practicing TM since childhood and seen the research on adults, especially for stress-related problems like heart disease. Struggling schools need lots of things: better food, stronger math programs, and higher-quality teachers, to name just a few. One of those needs seems to be a way to reduce stress so kids can absorb information and go into the world as well-balanced, successful people. Still, I had a hard time envisioning how meditation programs actually worked when they were dropped suddenly into public schools. Who were the principals who brought them in—did they have hidden mystical streaks, or were their motivations purely practical? Were the teachers enthusiastic or did they see meditation as yet another gimmick imposed on them from the outside? And how did the students really feel about it? Did they roll their eyes when the meditation bell rang or did they actually enjoy it? What was it like to grow up with just meditation—and no spiritual trappings surrounding it? The article continues with visits to some of the schools where the program was introduced. Jennie interviews principals, teachers, and the students to get their personal reactions to this meditation program and its effects on them. Read the rest of this objective revealing report: Mantras Before Math Class by Jennie Rothenberg Gritz. This is journalism at its best! PDF: Quiet Time Brings Transcendental Meditation to Public Schools. You can follow Jennie Gritz on Twitter. A year later, Jennie moved to The Smithsonian and published this excellent article: Director David Lynch Wants Schools to Teach Transcendental Meditation to Reduce Stress. The acclaimed filmmaker has become the champion of the practice that’s now been adopted by thousands of kids.